A Yurt is a portable structure much like those used by nomadic tribes in Mongolia over 2000 years ago. 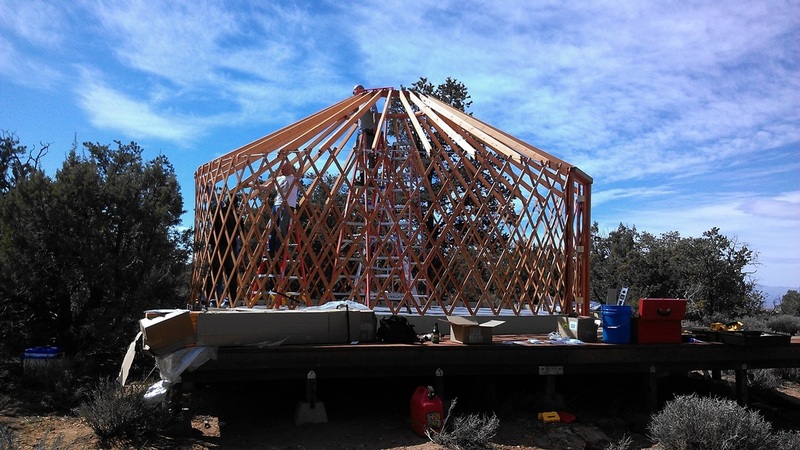 The domed, tent like structure sits on wood floor to create an efficient shelter that is environmentally friendly. Today's Yurts are quite high tech. They are built to withstand 100mph winds. With bubble wrap insulation developed by NASA our Yurts provide warmth in the winter and a cool feel in the summer. Seams are electronically welded, which give the roof amazing strength and durability. Sturdy fir rafters and steel rivets support the cone shaped top which includes a skylight. The skylight and windows give our yurts lots of light and an open airy feel. Our Yurts offer an experience close to nature, with all the comforts of home.